Pleyel Quartet brings together some of Scotland's finest musicians. each with over 20 years of professional experience. The Pleyel Quartet is a favourite at wedding ceremonies and receptions throughout Scotland and these musicians have built a reputation for their professionalism, flexibility and their clean, polished performances. The string quartet's repertoire ranges from Bach to Bacharach! 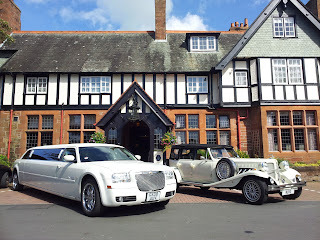 Discount on white Beauford wedding car for any available dates in August and September 2012. 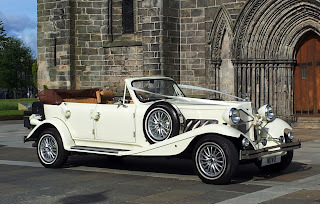 For great deal on Glasgow wedding cars and Glasgow limousines, these are probably the nicest wedding cars in Glasgow. 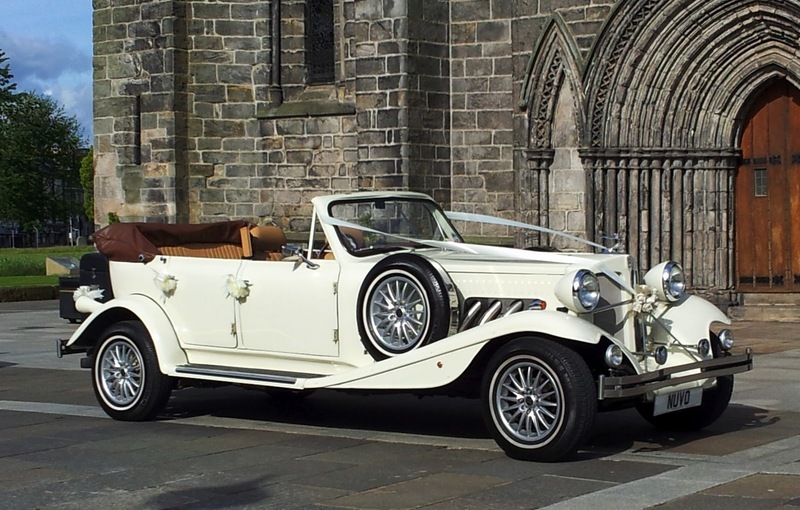 This is a fantastic opportunity to have a spectacular Beauford classic wedding car at a great price. 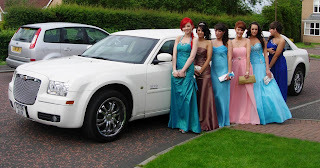 For Ayrshire wedding cars, East Renfrewshire wedding cars, West of Scotland wedding cars, Newton Mearns wedding cars, etc., then Nuvo Limousines Beauford, all white Chrysler 300c stretch limousine and silver Chrysler 300c saloon (nicknamed the " Baby Bentley ") are choice limousines. 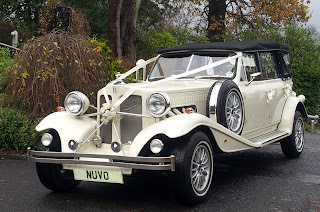 Contact Nuvo Limousines now for Beauford Glasgow, Chrysler stretch limousine Glasgow and elsewhere. 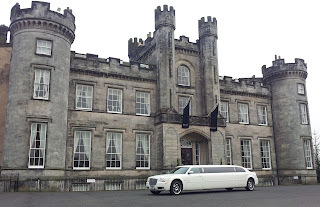 Nuvo Limousines Chrysler 300c stretch limo visited Airth Castle Hotel with clients from Hamilton who celebrated a colleague's retirement with a dinner party and overnight stay at this beautiful venue. Treat your Mum by taking her in the luxury all white Chrysler 300c stretch limousine for Mother's Day dinner, on Sunday 18th March. It is such a complimant tor receive these kind words from brides, grooms, their family members and our business clients and we wish to thank all those who have contributed to our testimonials for taking the time to email us or send us thank you cards and letters. They mean a great deal to us and make providing our limousine service so worth while. As a visitor to our website or Blog, please have a look at the Testimonials page. 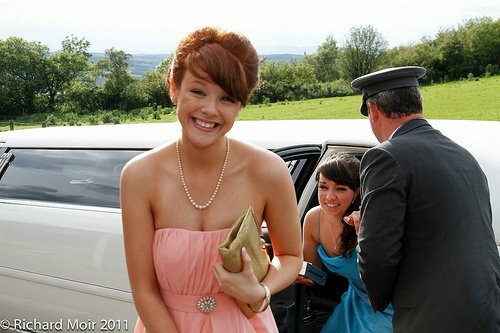 As prom limos are being booked for 2012 school proms, we again predict that demand will outstrip supply. Young people are obviously excited already so we thought it would be a good idea to publish some pictures of last year's proms. The only all white Chrysler 300c stretch limousine in the West of Scotland looks fantastic in these prom pictures. 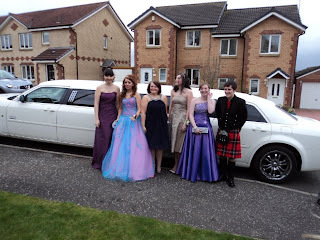 Nuvo Limousines were thrilled that these young people from Patna, Ayr, Stewarton, Livingston, Kilmarnock and Milngavie chose our Chrysler stretch limo. 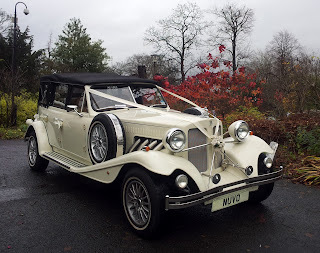 With wedding cars in Newton Mearns, Nuvo Limousines supply wedding cars Glasgow, wedding cars Ayrshire, wedding cars East Renfrewshire, wedding cars Lanarkshire, wedding cars West of Scotland etc. 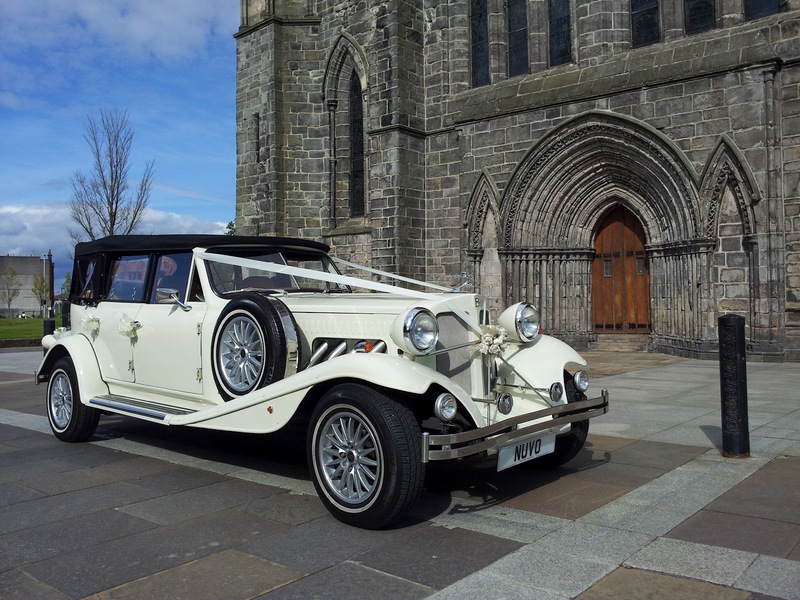 The classic white Beauford is the favourite choice of brides. Nuvo Limousines Beauford wedding car has a beautiful tan leather interior with a walnut veneer dash and trim. This is a fantastic example of a Glasgow Beauford and attracts compliments from those in the wedding business who are in a position to know quality when they see it. From photographers to florists to hoteliers etc, all have complimented Nuvo Limousines on their pristine Newton Mearns wedding cars. Growing in popularity and the most regal and stylish of stretch limousines, the white Chrysler stretch limo. Nuvo Limousines have the only ALL white Chrysler 300c stretch limousine in the West of Scotland. The imposing stature of Nuvo Limousines Chrysler 300c stretch limo is enhanced by the Bentley style grill, 20 inch chrome wheels and the sleek, modern and subtle interior. 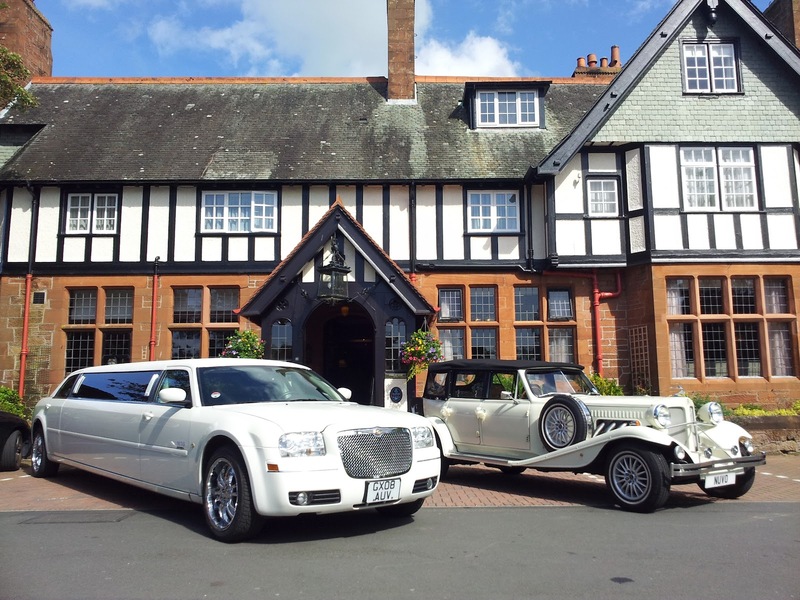 It is perfect for carrying wedding parties and although it is the obvious choice for bridesmaids and groom parties, it has become the first choice limo for brides themselves as it allows brides to "Arrive in Style"